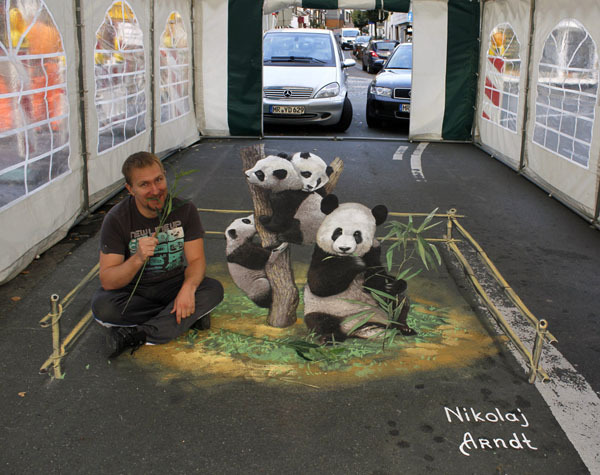 Using chalk and pigment, Germany-based artist Nikolaj Arndt creates magnificent 3D illustrations on the pavement of city streets. 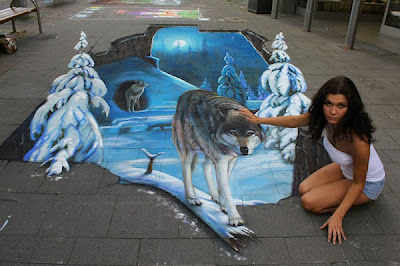 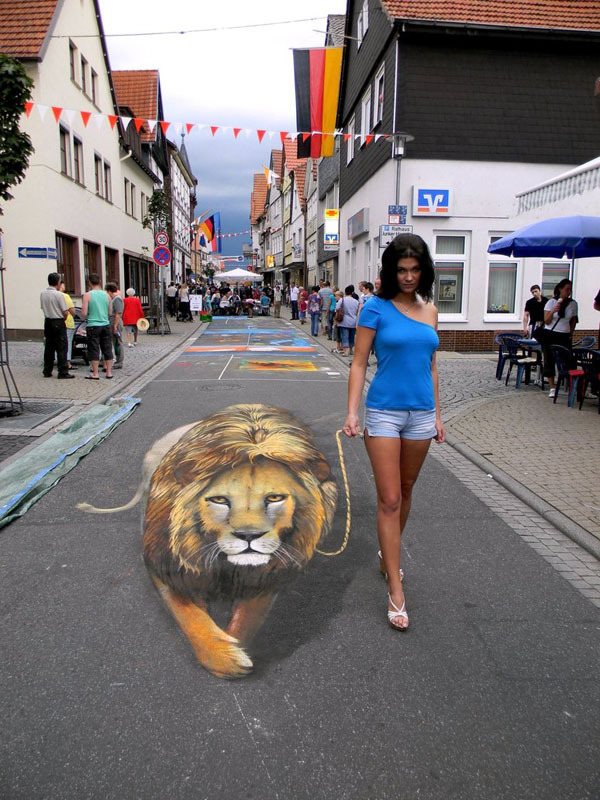 Just like the 3D Sidewalk Art of Edgar Müller, Nikolaj’s artwork is jaw-dropping and very realistic. 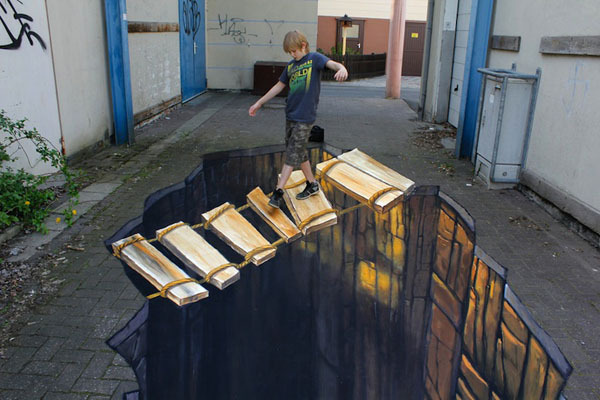 From the shark that looks like it is going to swim out from under the pavement to the dilapidated bridge crossing the gaping hole to the underworld, his creative pieces are sure to make you look twice.